“Noticeable, immediately noticeable is the new increase in vibration and the new intensification of all geopolitical events…. At the same time a renewed escalation of all individual, still unredeemed and unrecognized internal processes take place in all of the people. A new vibrational frequency that reaches this earth causes this effect and the latter vibrates much higher than any previous, already perceived as very intense vibration conditions. This also means: The creative power of the Light Warriors grows exponentially, while the power of the dark ones to exercise the de facto power on this planet, radically decreases. There is no energetic basis any more for the survival of these sluggish structures, and it is precisely for this reason why the Orion warriors try to bring this world under their control before the final curtain falls. This causes ill-considered power games and the loss of a realistic assessment of the situation. The complexity of all the events that affect this world is little familiar to the dark warriors. Too much are they confronted with their own survival. The world has slipped away from their grip as humanity awakens to a sufficient extent. Could then the shooting down of the Malaysia Airlines Flight MH17 over Ukraine by the rogue Nazi Putsch government in Kiev be the cause for a Third World War – the “final act of desperation” of the Western cabal to strengthen their eroding power, before they are ousted from their ruling positions by the light warriors of the first and the last hours, the Guardians of the New Galaxy, in the process of the interdimensional splitting of Gaia and the New Galaxy? I personally know that this tragic accident is another major crime on humanity perpetrated by the world conspiracy of the criminal Western Cabal against the last citadel of light – Russia – and has all the ingredients to unleash such a futile dark attempt to destroy Gaia and humanity, before they are removed to the super-dark 3D planet and before the “Big Dying” will sweep them away from power and reveal to the masses their heinous nature and the Great Illusion of this 3D reality. Below I have summarized several important investigative sources, revealing that the Western backed, Nazi putsch government in Kiev is behind the shooting down of the Malaysia Airlines MH17 over the military zone of Donetsk in order to blame Russia and trigger a new world war. Please observe that the Western cabal shot the second Malaysian airplane in less than two months and then ask yourselves why. The answer is self-evident. Kuala Lumpur is the site of the Kuala Lumpur War Crimes Commission (KLWCT), also known as the Kuala Lumpur War Crimes Tribunal. It is a Malaysian organisation established in 2007 by Mahathir Mohamad to investigate war crimes. The KLWCC was instigated as an alternative to the International Criminal Court in The Hague, which Mahathir accused of bias in its selection of cases to cover. In November 2013, the tribunal convicted State of Israel guilty of genocide of the Palestinian people and convicted former Israeli general Amos Yaron for crimes against humanity and genocide for his involvement in theSabra and Shatila massacre. These activities of the Kuala Lumpur War Crimes Tribunal have enraged the dark, criminal ruling Western cabal and the deadly retaliation has been prompt and repeated. The shooting down of flight MH17 happened only one day after the EU countries opposed the US to announce tougher sanctions against Russia during their summit in Brussels on July 16th. The retaliation of the CIA came promptly – a deadly accident, in which almost 280 European citizens were killed in order to force the EU vassals to confront Russia more seriously – to start a new war, which the USA is not able to finance as it is broke. Since then the war propaganda machinery of the West is running with full force and all Western heads of state were very quick to condemn Russia for this accident against all known facts so far and without waiting for an independent investigation to find the cause for the crash, which by the way is already clearly established as the renowned scientist Prof Michel Chossudovsky and other sources clearly prove below. 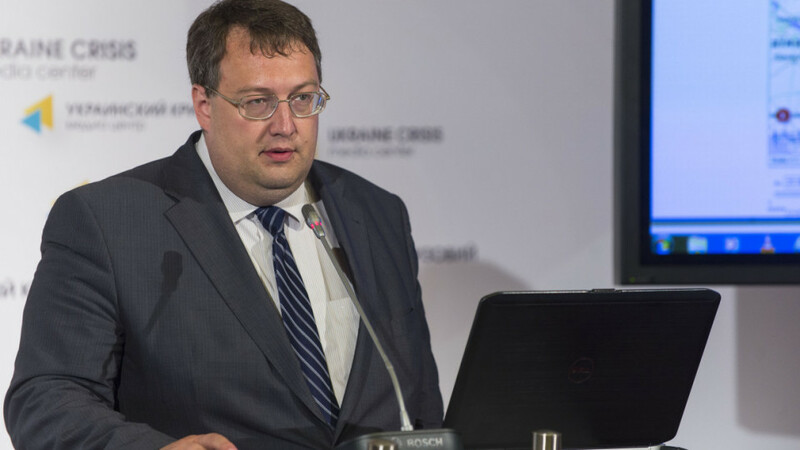 Was Ukraine’s Ministry of Interior behind the Downing of Malaysian Airlines MH17? Update: The later part of this article refers to information provided by the Kiev Spanish air controller. Since posting this article, we have received reports to the effect that the twitter report of the Spanish Air controller at Kiev Borisol airport is “fake” and that the twitter message were sent out of London. 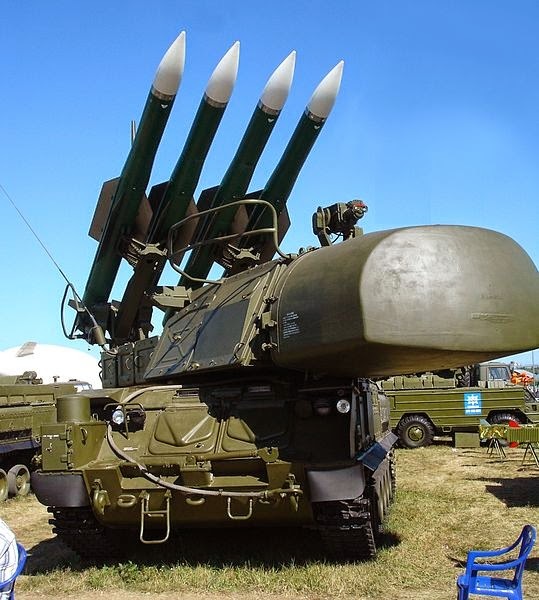 Of significance, the Prosecutor General of Ukraine Vitaliy Yarema confirmed that the Donesk rebels do not have Buk or S 300 ground to air missiles which could have downed the plane. “After the passenger airliner was downed, the military reported to the president that terrorists do not have our air defense missile systems Buk and S-300,” (quoted by Itar-Tass). This disclaimer is pro forma. It comes from official sources and can easily be reversed at a later date as part of the propaganda campaign directed against the Donbass rebels. How could he have known what type of missile system had brought down the plane? His statement contradicts that of the Ukrainian military. How could he have been privy to this information of a military nature prior to the conduct of an investigation on the ground? Unless the Ministry of the Interior was directly involved. It should be noted that the Ministry of Interior, largely under the control of the two Neo-Nazi parties Svoboda and Right Sector is responsible for “internal” military operations directed against rebel forces in Lugansk and Donbass, in coordination with the Armed Forces. The Ministry oversees both The Interior Troops of Ukraine (Внутрішні війська України, Vnutrisni Viys’ka Ukrayiny (VVU )) as well the National Guard (integrated by Right Sector militia). According to the controversial report of the Spanish air controller at Kiev Borisol airport there was an unexplained change of course of the Malaysian MH17 flight which took the aircraft directly over the Eastern Ukraine warzone. The Spanish air controller intimates that the order to down the aircraft came from the Ministry of the Interior (Ministry of Internal Affairs) and not from the Military. He also said that the MH17 flight was escorted by Ukrainian fighter jets minutes before it was downed. It is worth noting that the presence of the Ukraine fighter jets reported by the Spanish air traffic controller was confirmed by eyewitness reports in the Donetsk region. What is of significance is that the announcement of the downing of the aircraft (by a missile) by Kiev was almost immediate. According to the Spanish air controller, the air control tower was informed of the downing of the aircraft at 12.00 hours, approximately ten minutes after it disappeared from the radar screen (11.50 hours). How could they have known unless they had concrete details on how it was shot down? Despite Washington’s accusations, pointing a finger at Russia and the “pro-Russian rebels”, the facts point to The Ministry of Interior’s VVU. From official statements one has the distinct impression that there are profound divisions both within the government and the Ukraine Armed Forces as well as between various factions within the military. The truth is being suppressed. The Spanish Air Traffic Controller has the object of death threats. He and his family were deported from Ukraine on orders of the Kiev regime. And here the background of the shooting down of the Malaysia Airlines MH17 from the Russian perspective. The Main Directorate of the General Staff of the Armed Forces (GRU) is reporting today that within 5-minutes of President Putin warning his US counterpart, President Obama, that “war games” being carried out by NATO member Royal Canadian Air Force (RCAF) forces over Romania could lead to a “potential catastrophe”, Malaysia Airlines flight MH17 was destroyed over the eastern conflict region of Ukraine. According to this report, Putin was in flight during his call to Obamareturning to Moscow aboard his presidential aircraft from Brazil when he was notified that there were a number of “critical radar anomalies”occurring over EUROCONTROL zones in Central Europe. EUROCONTROL, which boasts that it has a “unique approach to civil-military aviation coordination in Europe”, this report says, is solely responsible for determining civil aircraft flight paths over European airspace and had previously, along with NATO forces, been accused by Slovakian authorities of being a part of the massive radar blackouts occurring over Central Europe between 5-10 June causing planes to disappear from their air traffic controllers screens. Even though the Slovak state Air Traffic Services company said that the disappearance of these planes from radar screens was connected to a military exercise whose goal was “the interruption of radio communication frequencies”, this report continues, NATO denied being involved stating that their AWACS surveillance aircraft that had been flying regular missions over Europe to monitor Russian activities near Ukraine and did not have a radar jamming capability. This GRU report, however, states that NATO was being “highly deceptive” in their denial as no one had identified, indeed even mentioned, AWACS aircraft as being a part of the June radar blackouts over the heart of Europe, but instead had named NATO-RCAF CF-18 Hornets based in Romania as potentially being the cause. So “provocative” have RCAF pilots been, GRU experts in this report note, last week they were tasked by NATO to begin “direct confrontations” along the Russia border with Lithuania against Russian Air Force pilots beginning in August. As to why the RCAF has been so “provocative” in their war games over Romania-Ukrainian skies, this report says, is “directly related” to the ongoing controversy in Canada relating their intended purchase of US F-35 fighter jets as opposed to upgrading their current CF-18’s into what are called Super Hornets. Specifically being tested by RCAF CF-18 Hornets over Romania and Ukraine since early June, GRU experts in this report further states, were those aircraft having completed the Incremental Modernization Project Phase II which equipped them with an Integrated Electronic Warfare Support Station and what is called the Electronic Warfare Test Equipment Project. Now upon Putin being advised yesterday of the “critical situation” over Ukraine relating to these RCAF “war games”, this report says, he immediately contacted Obama where he related to him the “grave consequences” that could occur if these “activities” weren’t immediately halted. Specifically concerning Putin, which this report says was also related to Obama, was the 3 July accusation by Ukraine that three helicopters bearing the markings of the Russian armed forces had violated Ukrainian airspace several times. Five days later, on 8 July, the Ukrainian State Aviation Service announced that they shut down their airspace in the southeast of the country, but curiously further stated it would “remain closed to civilian aircraft for security reasons with the exception of transit flights at altitudes of above 7,900 m until the situation fully normalizes”. Following their 8 July airspace shutdown, this report continues, the Defense Ministry warned that Ukrainian battalions of 27 Buk-M1 missile systems able to hit targets across the entire altitude range were then deployed near the city ofDonetsk in the region where Malaysia Airlines MH17 was destroyed. Important to note about the Buk missile system, this report says, is that its technological sophistication seriously impacts its battlefield use as this weapon as used in a battalion consists of a command vehicle, a target acquisition radar (TAR) vehicle, six transporter erector launcher and radar (TELAR) vehicles and three transporter erector launcher (TEL) vehicles. As to the exact and tragic destruction of Malaysia Airlines MH17 yesterday, this report concludes, the “electronic war games” being conducted by the RCAF in some way altered the course of this civilian plane [photo bottom left] putting it on a flight path it had never taken before in its previous 10 flights to the Russian Air Base in Morozovsk located in the Rostov Oblast close to the border with Ukraine, and which in normalized times was the accepted route to this destination for Russian military flights. To if the Ukrainian forces working in concert with the RCAF deliberately attempted to confuse the radar of what they believed was a Russian military flight causing it to over fly this conflict region this report doesn’t say. But then again, with the world being the way it is, anything is possible. A grim new report prepared by The Main Directorate of the General Staff of the Armed Forces (GRU) relating to the tragic destruction of Malaysia Airlines flight MH17 over the skies of the eastern Ukrainian conflict region on 17 July, which killed all 298 passengers and crew, states that the United States Central Intelligence Agency (CIA) now has“bloodstained hands” due to their disappearance of key witnesses and the destruction of vital evidence relating to this tragedy. As we had previously reported, within 5-minutes of President Putin warning his US counterpart, President Obama, on 17 July that “war games” being carried out by NATO member Royal Canadian Air Force (RCAF) forces over Romania could lead to a “potential catastrophe”,Malaysia Airlines flight MH17 was destroyed after “suddenly” leaving its assigned flight path putting it on a course leading to the Russian Air Base in Morozovsk located in the Rostov Oblast close to the border with Ukraine. In Putin’s conversation with Obama, the GRU reported, the US leader was warned of a “potential catastrophe” due to Ukraine’s 3 July accusation that Russian military helicopters had crossed its borders, and then 5 days later, on 8 July, closing its airspace above this conflict region, but for still unknown reasons gave an “exception of transit flights at altitudes of above 7,900 m until the situation fully normalizes”. Putin’s greatest concern, this report continues, was that immediately after Ukraine’s 8 July closing of their airspace over the conflict region, their military forces then deployed one of their two operational Buk-M1 air defense systems for unknown reasons as the separatists they have been battling with have no air force, a critical point even the New York Times was forced to question. Even more critical to note, this report says, was that flight MH 17 “electronically intersected” with Putin’s presidential plane, which was returning to Moscow from Brazil, over Poland, with Putin’s plane continuing towards Moscow, and MH 17 continuing its flight path towards eastern Ukraine. Prompting Putin’s urgent call to Obama, GRU experts in this report say, were radio intercepts relayed to military security analysts aboard the presidential plane showing that MH 17 was being ordered by Ukrainian ground controllers to descend from their 10,668 meter (35,000 feet) flight path to10,000 meters (33,000 feet) just skimming 304 meters (1,000 feet) above the restricted altitude limits of this conflict zone. What caused the greatest alarm, however, for the security analysts aboard Putin’s presidential plane, this report says, was when further Ukrainian ground controller instructions to MH 17 ordered it deviate nearly 321 km (200 miles) north from its assigned flight path putting it on a course normally taken by Russian Air Force cargo flights to their Morozovsk air base. Western propaganda media reports, it should be mentioned, state that MH 17’s flight diversion was due to thunderstorms, a claim quickly discounted by Malaysia Airlines director of operations Izham Ismail who said they had no reports from the pilot to suggest that this was the case. GRU experts in this report surmise (but with limited circumstantial evidence) that Ukrainian military ground controllers were confusing MH 17 with Putin’s presidential plane believing that its intended course was Morozovsk and that this tragedy could indeed have been an assassination attempt. Ukraine’s military air defense forces, it’s critical to note, is better known for its misfires than its bulls eyes. In two years alone, their troops accidentally fired missiles at an apartment complex and a passenger ship, and in its most notorious disaster of all, downed Siberia Airlines Flight 1812 over the Black Sea in the fall of 2001, killing 78 people and which drew international ridicule and repulsion. Of the most shocking information related to Obama by Putin in the minutes prior to MH 17 being destroyed, this report continues, were from security analysts aboard the presidential plane who were monitoring ETN Global Travel Industry News (eTurboNews) where continuous messages were being posted from an air traffic controller at Boryspil International Airport in Kiev. “ETN received information from an air traffic controller in Kiev on Malaysia Airlines flight MH17. The air traffic controller suggested in a private evaluation and basing it on military sources in Kiev, that the Ukrainian military was behind this shoot down. Radar records were immediately confiscated after it became clear a passenger jet was shot down. Military air traffic controllers in internal communication acknowledged the military was involved, and some military chatter said they did not know where the order to shoot down the plane originated from. As to the exact and real-time messages being posted to ETN [see in English or Spanish] by this air traffic controller in Ukraine, this report says, Putin’s security detail became “gravely concerned” due to their detailed knowledge about what was occurring with MH 17, including its being followed by Ukrainian fighter jets and then its destruction on a flight path it shouldn’t have been on in the first place. Most ominous about the information being relayed to ETN by this Ukrainian air traffic controller, GRU intelligence experts in this report say, was “nearly immediately” after they were posted, CIA “resources” took command of Boryspil International Airport, and had all of them deleted, and the blog and Twitter account associated with them shut down. Also contradicting the Spanish governments denial of their citizen Carlos working as an air traffic controller in Ukraine, this report says, was his 8 May interview [see in English or Spanish or view video (in Spanish) HERE] wherein he stated not only his profession, but further noted his fears about the right-wing revolutionaries who had taken control in Kiev. With Ukrainian security services under CIA direction having confiscated all of the air traffic radar recordings of MH 17, this report concludes, and with the Obama regimes propaganda machine now in high gear, it now appears that the US-EU agenda regarding this tragedy is less than finding its true perpetrators, and instead as using it as a context for war.